This definition leads the authors to including things like engagement surveys as example of analytics whereas to me, these are clearly measurement approaches rather than analytical ones (the analytics then follows the measurement of engagement). And scenario planning? It’s certainly a way of better understanding strategy, but its not an analytical approach! Based on the organisation’s strategy, what is the work that needs to be done, and are the processes, structures and roles designed to efficiently and effectively accomplish it? Is the human capital supply chain filling those roles with people capable of doing the work at the quantity, quality and cost required of the business model? Once in place, is the workforce fully engaged and motivated to meet or exceed performance standards? Finally, since change is ubiquitous, how can we detect the need for change, test innovations in the organisation and workforce, and disseminate those throughout the organisation? I also dislike the complete absence of any focus on people strategy in the book. For me, analytics isn’t simply about developing insight into how people support a business, but how they support the people strategy which supports a business – a small but crucial difference. So analytics is about asking questions which provide a better insight into how people strategy leads to better business results. Change management (the oil company). However, there are some good examples too, eg I liked the CORP case study which concerns a case where measures showed a negative relationship between performance of the supervisors and the sales of a team, and a positive correlation between sales and team turnover. But ever here, the organisation only used surveys and focus groups to get a better understanding of the causes of these findings – not really something I would call an analytics based approach. The PHARMA case study is better – again involving an interesting situation in which some of the best people were being lost but also involving the use of regression analysis and stochastic modelling to gain a better understanding of the situation. This is the only example of what I would call a true analytics based approach in the whole book, but it is a good case study, so the book may be worth reading just for this (it’s in chapter six). “Other companies have a cultural bias against adopting a disciplined analytics approach to people, believing that people are not inanimate parts. “Is it because people are not widgets, and out of respect for their free will and humanity it’s unfair or wrong to use the same logic for workforce decisions as we use for decisions about more inanimate objectives like inventories and machines? No. So I dislike examples in which organisations seem to think they’re developed a full understanding of something which is actually impossible to wrap up this way. For example, an Asian airline apparently managed to develop a ‘clear picture’ of where instant messaging and other forms of social networking could have a significant impact on productivity. Well, I’m not so sure they did. There’s nothing wrong in trying to predict where the best use will be, but that’s very different to believing you’ve got the whole thing sewn up. Particularly with social networking, most case studies show that organisations will find a whole slew of emergent benefits that their people make up which they hadn’t thought about before. Well quite, and in other areas of analytics too. This is all useful stuff, but let’s keep it in perspective – it’s the development and then implementation of a creating value people strategy that’s the most important – as well as difficult - thing, not the measurement of this, and not the analytics which may play a role in the strategy’s formation. I like the point where the authors write “The value to the organisation and workforce of the access to these networks cannot be underestimated”. Right, and if that’s the case, let’s not go to the bother of estimating or analysing it. If it can be underestimated, you may need to use some analytical tools, but I’m afraid you probably won’t find them in this book. Our next webinar is on the hot topic of social media in the workplace. Not only will we look at the ubiquitous question of whether HR should control employees’ use of social media, but we will also focus on increasingly social ways of working and the impact these will have on organisations. Our expert panel will look at how companies are using emerging social tools and will examine the numerous ways they can benefit HR. Our expert panel will look at how companies are using social tools and will examine the numerous ways they can benefit HR. How much trust should you put in your employees? What are the ramifications of banning social media? How are social tools changing the business landscape? Personnel Today editor Rob Moss hosts the discussion and is joined by Matthew Hanwell, HR director, communities and social media at Nokia; Jon Ingham, HR consultant, author and blogger; and Ofir Guetta, social collaboration leader for IBM. Register for the FREE webinar here to find out how social media can work for your company. My next big HR conference which will include a big focus on social technology will be HR Technology Europe in Amsterdam on 25th and 26th October. As last year, I will be chairing the conference and will be blogging about it here too. However, the conference now also has a blog, of which I am one of several contributors (along with Naomi Bloom, William Tincup and others). Why don’t we use Technology? (about the Enterprise 2.0 Summit taking place the last two days). #E20S: Shouldn’t we talk about HR 2.0 instead of Enterprise 2.0? I’ve been attending some of the most technically oriented sessions rather than the organisational ones, so initially missed one called ‘Maximising Social Work Mindset’. However, I started to see lots of tweets about HR 2.0, and as I hadn’t been tweeting from my own session (a good sign that I’m not getting much out of it) I decided to move. Actually, I didn’t find the session itself that exciting, but the twitter stream was particularly good, and included the tweet in the above picture: “shouldn’t we talk about HR 2.0 rather than Enterprise 2.0”. The basis for this was that if we’re talking about people then HR should have prominence in the move to the social business – obviously something which resonates for me. The diagram attempts to show that there are a number of things we do in an organisation (activities) around managing people, facilitating connection, and developing an enabling organisation – including use of Enterprise 2.0 technology. From this perspective, HR 2.0 (the use of social media in HR – for recruiting, learning, performance management etc) and Enterprise 2.0 don’t have much to do with each other – other than they use basically the same technologies and approaches (eg the role of communities) and so doing one makes it easier and more appropriate to do the other too. But there are also three critical capabilities we need to create in an organisation, namely human, social and organisational capital. Each of these can be supported by the three groups of activities identified above. Eg I write here mainly about human capital, and although HR – including HR 2.0 - approaches will be the main part of a strategy to create human capital (hence HCM), social and organisational activities will also play a role (eg through creating communities of practice to share knowledge and build capability, or by creating organisational structures which make it easier to contribute and hence raise engagement). But our focus here is on social capital, or the social business / enterprise (the theme of the Enterprise 2.0 Summit is ‘Designing and the Social Business Excellence’. 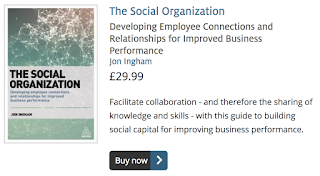 Social capital / the social business can also be developed through HR activities (eg managing team performance or introducing pay transparency) and organisational ones (eg creating structures which break down silos and get people collaborating). 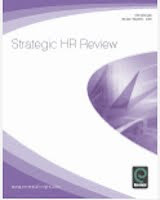 So HR and ‘enterprise’ activities are certainly both key parts of a social business strategy. Both HR 2.0 and Enterprise 2.0 technologies and approaches can also be used to build social capital / the social business, so again, from this angle there is an additional overlap. Virtual – eg using a social networking system to support management of a community. So perhaps, rather than HR 2.0 or Enterprise 2.0, we should talk about Social 2.0 instead? But I’d prefer us just to focus on the social business / enterprise (outcomes vs activities). (Actually I think social organisation is the best name for this, but again, that’s another whole other blog post, and I suspect you’ve probably had enough!). I’ve just booked my flights back to South Africa where I’ll be delivering a session on HR metrics in a couple of weeks time (22nd & 23rd February). I’m also back in Johannesberg to to do a repeat session on 23rd and 24th April, then a session on HR business partnering on 25th and 26th April. If you’re in South Africa, I promise these will be great sessions so why not come along? – or let me know if you’d like to meet up. And I’ve got another blog post on metrics coming out shortly (hopefully tomorrow!). I (virtually) attended HCI’s Talent Strategy and Workforce Planning conference this week and will be posting on some of the WFP and data stuff from there over the next few days. However the most interesting piece for me was Peter Howes’ session which included some insightful inputs on WFP but particularly this slide on career management. Peter notes that upwards promotion can’t be an effective focus for career management. So in the data his group at SuccessFactors (previously InfoHRM/Inform) has collected, 50-60% of employees are never promoted and about another 30% will only have a maximum of another two promotions. We therefore need to think more laterally about careers, including progression horizontally into other roles, but also including projects and placements. There’s nothing that new about this (see for example Deloitte’s book on Mass Career Customisation, and it was also a key feature of Josh Bersin’s presentation I saw recently) but I did think Peter’s conclusion was very interesting – that the goal for many companies should be four transfers for every promotion (a career path ration of 0.25). I don’t have the data Peter has but I have to say that this feels about right. So the CIPD are searching for a replacement for Jackie Orme. Or rather a recruitment consultancy are doing the search for them, which seems a rather redundant exercise give that the successful candidate has to (or certainly should) already have a prominent role in the HR community in order to act as a figure head for the profession. Therefore we already know who they are, or at least we know who the candidates should be. Duncan Brown. One of the most insightful people to have passed through the CIPD, with more recent experience at IES, PwC and Hewitt. Sensibly intelligent and articulate, with a great understanding of the new reward agenda. Time for the CIPD to take on bankers’ bonuses? Too right! John Philpott. If the CIPD wants to fill the role with an internal candidates, and they should really shouldn’t they, then John Philpott, the CIPD’s Chief Economist is the clear front runner. 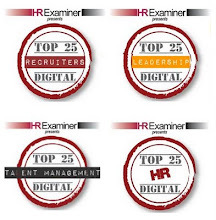 Loads of informed insight, respect across the HR community and clout with government. What’s not to like? Peter Cheese. Highly experience and credible consultant, ex Accenture now kicking his heels at the ILM. 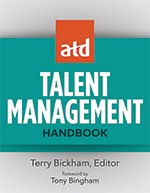 Author of a couple of fairly sensible books on strategic HR management and measurement including the Talent Powered Organisation. Would measuring HR’s contribution get the profession into shape? Ann Almeida. Prefer a practitioner to a consultant? Yes, probably. There are a number of senior HR leaders who good do the job – probably from the FTSE100 as they’d carry respect in smaller organisations whilst the reverse isn’t always true (often unfairly). However, my nomination would be for Ann Almeida at HSBC - probably the deepest thinking HR practitioner I’ve met. Neil Morrison. I’m only half joking here – maybe not even that – what about Neil Morrison? Board level HR Director at Random House, social media superstar and greatly talented wit. Not overly into the CIPD which I think is a good thing. But of course, a big supporter of Connecting HR, which is better still. Liberal Democrat politican and general celebrity Lembit Opik. Ex HR, ex MP with the capability to bring a cheeky grin to all HR professionals. Julian Birkinshaw. Moving into academia, I’ve needed to have a think. My favourite UK academic for a long-time has been Lynda Gratton at London Business School, but I’m less into her newer stuff, despite the fact that it’s increasingly closer to my main agenda these days. So my nomination goes to a non-HR professor who I think speaks the greatest sense about HR: Julian Birkinshaw, also at LBS. Time to reinvent HR! Ruth Spellman. What have we got left? I guess HR types with experience of running other professional institutes must be a good bet. What about poaching Ruth Spellman, ex CEO of CMI and IIP UK before she joins WEA next month? China Gorman. Or what about China Gorman, ex SHRM hard hitter, heavily engaged in social media too. The American take-over might not go down well with some, but better this than a full take-over of the institute by SHRM! Gwyn Burr. Errm, I’m running out of ideas now, but, well, I suppose the final opportunity would be a business person who is known as a progressive talent manager. I’m not a particular fan of the businessisation of HR, but it could go down well across the profession. A compromise might be someone doing both HR and a business job eg Gwyn Burr, Customer Service and Colleague Director at Sainsbury’s, or possibly Lucy Adams, Business Operations Director (and former Director of People) at the BBC. Actually, I do like this idea, so there you go: Gwyn Burr is my recommendation for the job. I’ve not worried about the job these people are currently doing, or how much they’re currently being paid etc. Such is the freedom of the blogger vs the recruitment agent! It’s not a very diverse list, and hopefully that’s something that the recruitment agency can improve on. 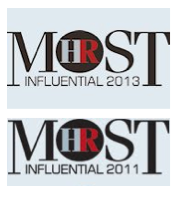 I’ve been a bit ambivalent about HR Magazine’s list of Most Influentials in the past (though obviously a bit less so now that I’m on it!) but based upon the above they do seem to have hit the spot – I had a look through their lists (1,2,3,4) when I got a bit stuck with my #10 and it’s interesting to see most of the people I’ve listed are on their lists already. But no, I’m not putting myself forward – though I’m not saying it wouldn’t be fun – see my next post on this! And a PS: I’ve never exchanged more than a couple of words with Jackie, and I don’t agree with all her views on HR, or all of what she’s done at the CIPD, but it’s horrible to hear about anyone, particularly someone still relatively early in their career, having cancer, and I wish her the very best for a full and speedy recovery. I’m sure it’ll be another interesting session, particularly given that the use of social media in Asia is so different to the the UK (I’ve posted on this previously, and also note the differences in social media week – all about change and collaboration in the UK, all about finding love on Facebook in Singapore!). Anyway, if you’re in Asia I’ll hope you’ll to join me (or at least follow the twitter stream during the four days). You can find out more from Long Trends Tel: 65-91912218; Fax: 65-64048964; Email: enquiry@long-trends.com. I’m attending / blogging from / presenting at some great conferences over the next few months. Next week, I’ll be an ‘ambassador’ for the Enterprise 2.0 Summit in Paris and will be posting on some of the sessions there, mainly over at Social Advantage. Hope to see you at one of these events, and if not, do follow their progress here.